Good Sam Club Members save 10% Off your nightly stay. Not a member? Click here to learn more and save. 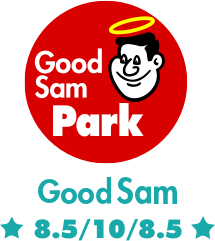 Are you a Good Sam Member? 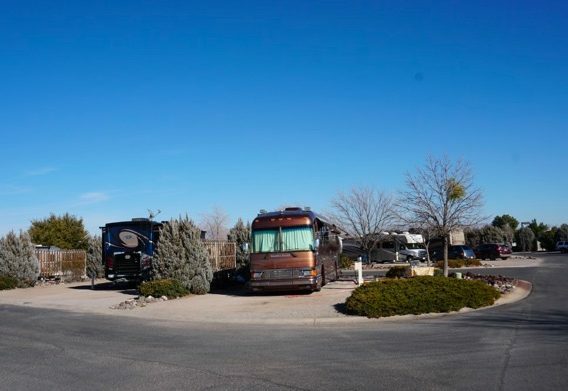 Hacienda RV Resort in Las Cruces, New Mexico is a customer satisfying, top-rated RV park. 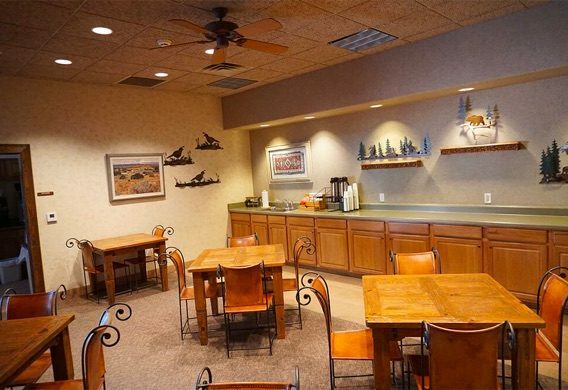 Our location features majestic views of the Organ Mountains and cool amenities that make for memorable vacations! If you like history and historic places, you can travel just one and a half miles away to Old Mesilla, a former hangout of infamous outlaws and the home of the Basilica of San Albino. 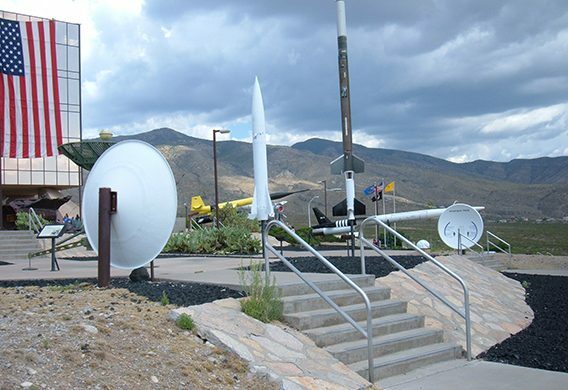 The International Space Hall of Fame is in Alamogordo, about 68 miles from Hacienda RV Park, New Mexico. Right here in Las Cruces, you can visit the jail / courthouse where the notorious gunslinger, Billy the Kid, was tried and sentenced! 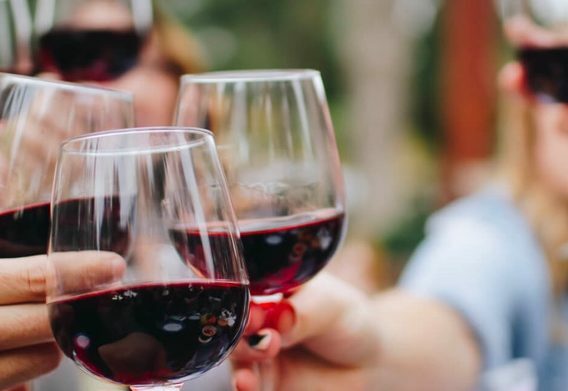 Don’t miss the fun of the Southern New Mexico Wine Festival on Memorial Day weekend or the Harvest Wine Festival on Labor Day weekend. Both festivals feature wines from New Mexico wineries, concerts, food from local vendors, and are held at the fairgrounds just west of Las Cruces. Enjoy other happenings throughout the year including Cowboy Days and the Cinco de Mayo Fiesta in Old Mesilla. There is always something fun going on! Our grounds have paved roads leading to the 100+, full hookup, 30 / 50-amp service RV sites at our New Mexico, big-rig friendly, RV park. Stay at our New Mexico RV Park for a great vacation filled with beautiful scenery, culture, and interesting events all year long! Check in was easy and the people here are great. The sites are very nice and clean with room to sit outside and relax. It was quiet and they had a large dog run for our dogs which was lighted at night. We did not use the facilities but the areas near the office were very clean. We would stay here again if passing through.